Perry L. McCarty is one of the world’s leading environmental engineers, he created a scientific approach for the biological treatment of water for purification, wastewater reclamation and groundwater treatment that is used worldwide. He pioneered scientific principles for anaerobic digestion in wastewater treatment and contaminant control in aquifers. Perry L. McCarty, Silas H. Palmer Professor of Civil Engineering at Stanford University, is honored as the world’s leading environmental engineer working to protect the Earth’s water resources. His outstanding research contributions have formed the basis for significant improvements in water quality, wastewater treatment and reclamation, and groundwater decontamination. Dr. McCarty’s record of initiating new lines of inquiry has more than once defined a new subarea of environmental problem analysis. His investigations in biochemistry, microbiology and organic chemistry are astonishing in their breadth and ingenuity of experimental verification; and they have stood the test of time. Scientific principles and innovative microbiological processes developed by Dr. McCarty established anaerobic digestion as a reliable, costeffective, energyproducing alternative for wastewater treatment. His unified theory for biological treatment is used widely as the basis for the design and operation of waste treatment throughout the world. In the mid1960s, Dr. McCarty applied thermo dynamics to estimate maximum yields and growth rates in microbial systems. This work provided a scientific base for limits on synthesis and growth rates of a wide variety of processes involving microorganisms, including iron and manganese oxidation, nitrate and sulfate reduction, nitrogen fixation and methane fermentation. These insights are used extensively by environmental biologists, chemists, and engineers in the study of biological processes in natural environments. McCarty’s scholarship has changed fundamentally our concepts of the rates at which biological processes take place and modem environmental engineering technology derives largely from this work. These achievements were accomplished with systems in which microorganisms were grown in suspension. Dr. McCarty turned to the theoretical aspects of microbial growth attached to solid surfaces and attained a coherent concept for growth in attached bacterial films. This revolutionary concept created a new direction of research in environmental engineering; and biofilm processes are the basis for stateoftheart waste treatment technology today. The provision of clean drinking water will, in the viewof many, be a major preoccupation of the 1990s. Water supplies are becoming increasingly polluted, heightening concern for human health. The EPA’s Superfund program has located more than a thousand severely polluted sites nationwide, bearing testimony to the need for research breakthroughs. Dr. McCarty has devoted himself to improving the understanding the behavior of organic contaminants in soils and ground water. He discovered that many manmade chemicals thought to persist in the environment for decades were in fact disappearing through the action of microorganisms; and he realized that microorganisms with unique chemicaldegrading abilities do exist in soils and groundwater, and sometimes at great depths. Efforts to better understand the actions of these organisms and to use them in engineered processes are now underway. Dr. McCarty has made seminal contributions to the knowledge of contaminant behavior in groundwater aquifers and sediments by developing concepts for modeling the behavior of microorganisms attached to solid surfaces in the form of bioflms. Professor McCarty received his B.S. in Civil Engineering at Wayne State University and earned M.S. and Sc.D. degrees at the Massachusetts Institute of Technology. He taught at MIT before joining the faculty at Stanford in 1962. He also has taught at Harvard; the University of Cape Town, South Africa; and in Venezuela. Dr. McCarty has served on the National Research Council in numerous capacities, including as vicechair of the Environmental Studies Board and as a member of the Commission on Natural Resources. 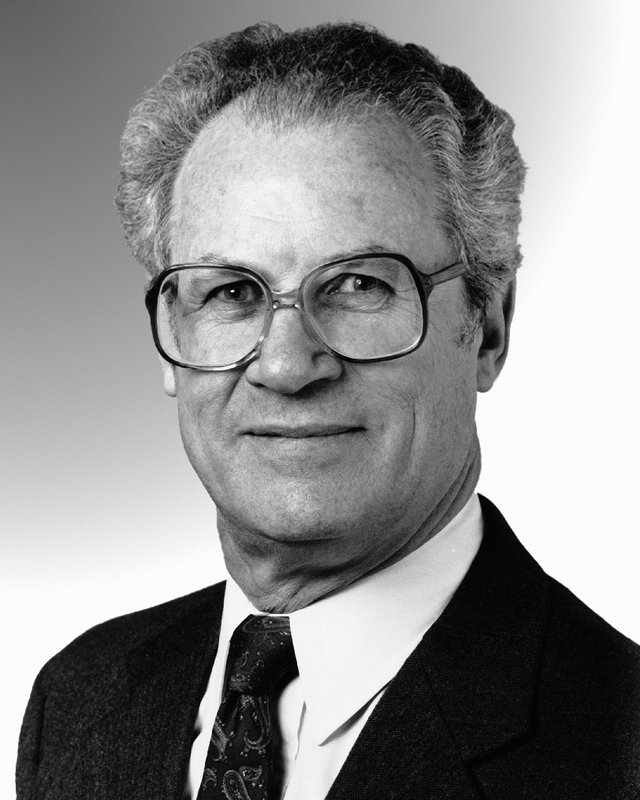 Among the numerous honors Dr. McCarty has received are the Water Environment Federations’ Harrison P. Eddy Research Award (1962 and 1977) and the Thomas Camp Award (1975), the American Society of Civil Engineers’ Walter L. Huber Research Prize (1964), the American Water Works Association’s Research Prize (1989), and the Association of Environmental Engineering Professors’ Distinguished Faculty Award (1966). He was honored with membership in the National Academy of Engineering in 1977, named a fellow of the American Association for the Advancement of Science in 1980, and made an honorary member of the American Water Works Association in 1981 and the Water Environment Federation in 1989. Robert M. White was a world leader in designing cooperative networks and building institutions, he planned the global atmospheric research program and initiated international efforts to understand global climate change and the effects of greenhouse gases. The first administrator of NOAA, he helped create and implement legislation on marine fisheries, marine mammal conservation, and coastal zone management. Robert M. White is honored for his inspired leadership in designing and building the machinery through which society observes and understands global climate change. Long before his contemporaries, Dr. White perceived the essential unity of the global environment and the need for unified institutional approaches. The impact of his leadership on an entire generation’s progress in global environmental science is evident in the integrity of the Global Atmospheric Research Program during the 1960’s and early 1970’s, the Global Weather Experiment in 1979, and the World Weather Watch and World Climate Program of the 1980’s. His unique combination of scientific, communication and policy development skills were acquired during a career that began with a doctorate in meteorology, a decade of research on the circulation of the global atmosphere, and the establishment of one of the first corporations devoted to environmental science and service. Under Presidents Kennedy, Johnson, Nixon, Ford, and Carter, Dr. White built and led effective environmental institutions in the federal government. He transformed the U.S. Weather Bureau into the Environmental Science Services Administration in 1%3, combining it with the U.S. Coast and Geodetic Survey and the upper atmospheric research program of the National Bureau of Standards. He revolutionized the nation’s weather warming and ocean monitoring systems with satellite and computer technology. Dr. White forged the National Oceanic and Atmospheric Administration as its first Administrator, from 1970-1977. He created an Office of Ecology and Environmental Conservation; and he insisted that the environmental agenda be treated as important at all levels of the agency. NOAA acted as an environmental bureau of standards, developing the best possible research data to enable the government to understand the consequences of human activities on the environment. An agency with large biological responsibilities, NOAA acted as a conservation organization for marine and migratory fish. White was personally involved in the creation, passage, and implementation of legislation supporting conservation and environmental quality, including the Magnuson Fisheries Conservation and Management Act, the Coastal Zone Management Act, and the Marine Mammal Protection Act. He was responsible for establishing the first National Marine Sanctuary. American fisheries experienced a rebirth under White’s protection; and landmark methods for the management of U.S. coastal zones were instituted. At the United Nations’ first Conference on the Human Environment in Stockholm in 1972, Dr. White proposed a total moratorium on commercial whaling.· Appointed U.S. Commissioner to the International Whaling Commission in 1973, White altered the direction of the Commission, stopping whaling on all threatened species and limiting catches of abundant species. As U.S. 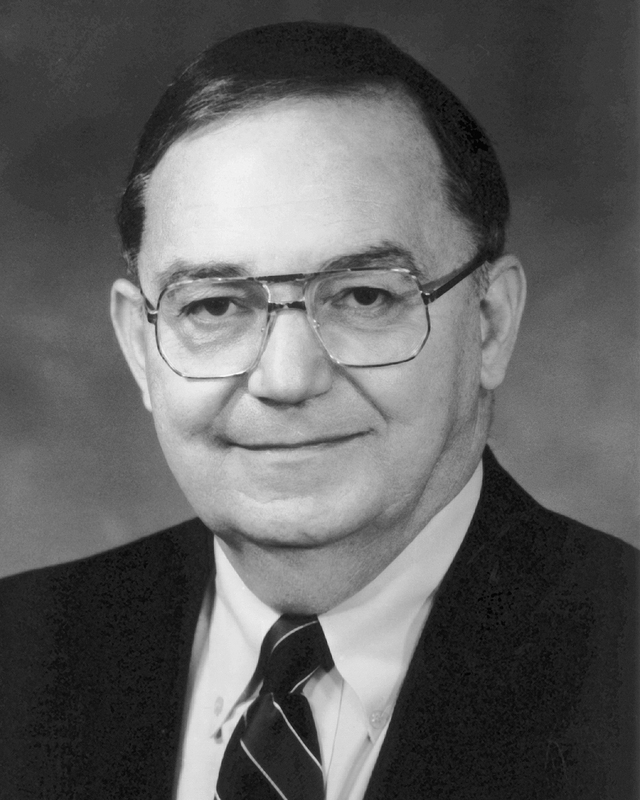 Permanent Representative to the World Meteorological Organization from 1963-1978, Dr. White led the effort to conduct the Global Atmospheric Research Program utilizing Earth-orbiting satellites to observe the global environment. In 1977, Dr. White proposed converting GARP into the World Climate Program. Subsequently, the WMO asked White to organize and chair the first World Climate Conference, which met in Geneva in 1979. It had become evident that climate warming could have potentially serious consequences for society. The conference was a watershed event for raising awareness of the economic and social consequences of climate alterations. The resulting World Climate Program has provided the scientific basis for understanding the effects of increasing emissions of greenhouse gases on the world’s climate. As President of the National Academy of Engineering and Vice Chair of the National Research Council, Dr. White has guided advisory work for the U.S. government on a broad range of environmental issues, including stratospheric ozone depletion, acid deposition, loss of biodiversity, nuclear energy, radioactive: wastes, the potential for waste reduction, and ways to accelerate diffusion of environmentally-friendly technologies to developing countries. Dr. White holds a B.A. degree in geology from Harvard University and M.S. and Sc.D. degrees in meteorology from the Massachusetts Institute of Technology. He is a member of the French Legion of Honor, and the academies of engineering in Japan and Australia. His many awards include the Charles E. Lindbergh Award for technology and environment, the Rockefeller Public Service Award for Protection of Natural Resources, the Smithsonian Institution’s Matthew Fontaine Maury Award for Contributions to Undersea Exploration, the International Conservation Award of the National Wildlife Federation, and the International Meteorological Organization Prize.